Why it matters: Steam’s hardware and software survey for March has arrived, giving us an idea of what’s becoming popular, or falling out of favor, among PC gamers. 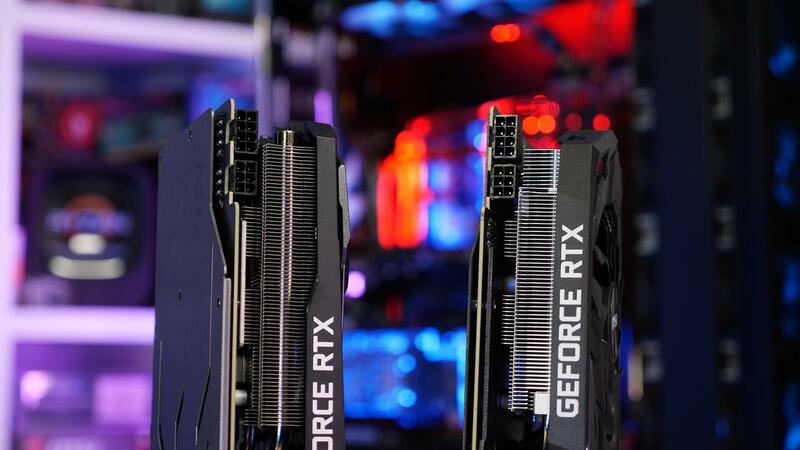 In the video card category, the GTX 1060 remained on top despite a 0.32 percent decrease in users, but the biggest increase was for the RTX 2060, which appeared on the list for the first time with a 0.26 percent share. All the top three cards—GTX 1060, GTX 1050 Ti, and GTX 1050—experienced falls last month, but the fourth-place GTX 1070 was up 0.17 percent, likely due to the decreasing price of what remains an excellent product. 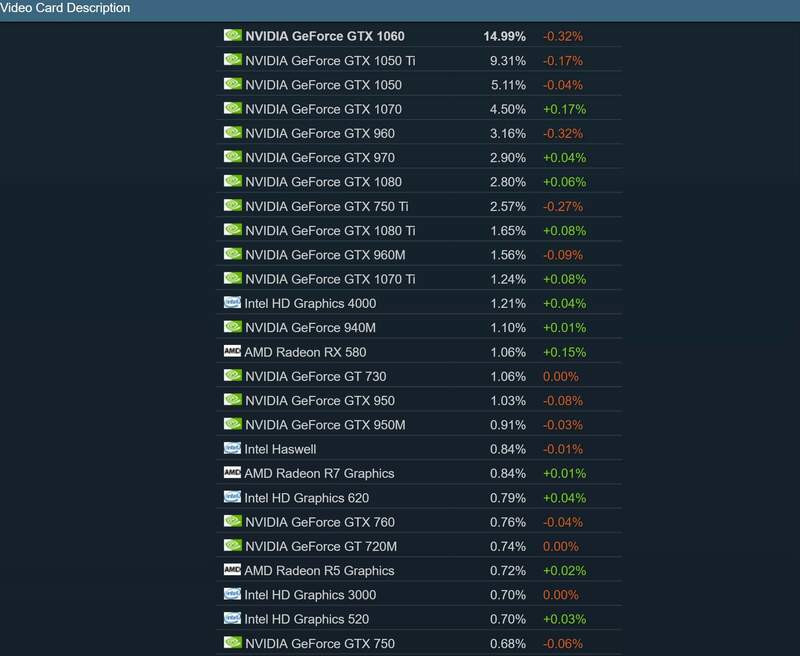 The GTX 1080 Ti also saw gains (0.08 percent) as its cost drops and more of the former flagships appear on the second-hand market. It was one of Nvidia’s newer video cards that saw the most significant increase during March. 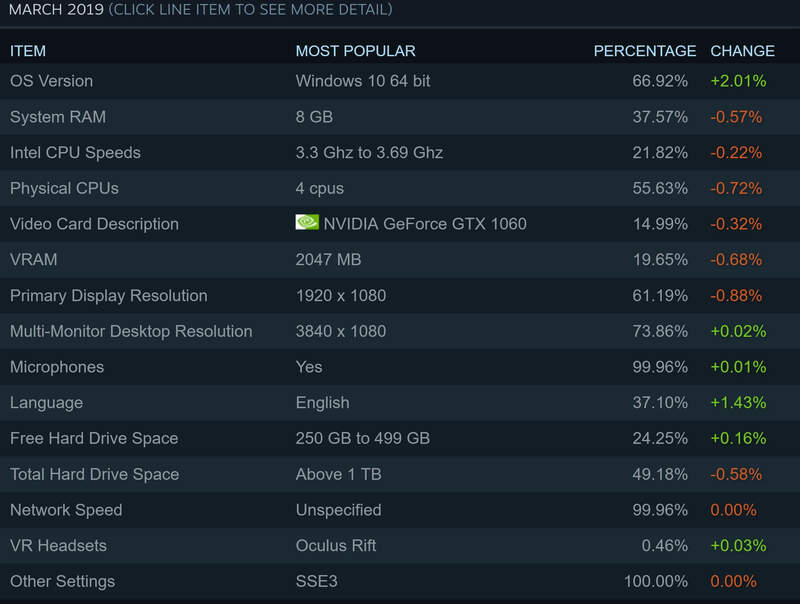 The RTX 2060 was up 0.26 percent, meaning this Turing-based GPU is now used by 0.26 percent of Steam users as this is the first time it's appeared on the survey. The other RTX cards also did well, with the RTX 2070 the most popular of the four (0.63 percent of users), followed by the RTX 2080 (0.48 percent), the RTX 2060, then the 2080 Ti (0.25 percent). As usual, the list is dominated by the green team, but AMD’s first entry is higher than we’ve seen in previous months. The Radeon RX 580 is team red’s highest product, in fourteenth place. It experienced a 0.15 percent increase, bringing its total user numbers to 1.06 percent. Overall, Nvidia has a 74.75 percent share of the market, while AMD has 14.9 percent. Away from graphics cards, the survey shows that 1920 x 1080 remains the most popular resolution by far, preferred by 61.19 percent of survey participants. And while 2560 x 1440 monitors are becoming more prevalent, the resolution has only a 4.53 percent share—even 1366 x 768 is more common (13.18 percent). Elsewhere, 8GB of RAM is still used by the majority, though 16GB is quickly catching up. Over half the people surveyed have four physical CPUs. And the Oculus Rift is slightly more popular than HTC’s Vive.